[Pollutec 2018] Meet us from 27 till 30 November in Lyon Eurexpo ! Ultraflux will be at the SIMER exhibition at “La Halle de Martigues” on September 23rd and 24th 2015 on the booth 17. Our commercial team will be pleased to inform you about our product range (ultrasonic flow meters, probes…). The hydrolelectricity industry is growing fastly, particularly in France. Ultraflux is offering a large product range to answer to the water industry problematics . This fixed ultrasonic flow meter is perfect for measuring free surface flows. It is equipped with a Multi-variable data logger, a Mathematical functions generator, an Optional HART protocole and an input/output modules. Ultraflux France is glad to present you the brand new website of our Thaï subsidiary USEA. They have a created a new design for the website and you can also find a flow meter rental service. 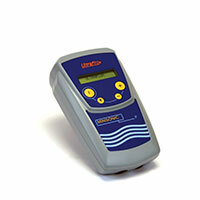 Do not hesitate to visit the website to discover our product range (ultrasonic flow meters) ! The UF811 CP is ideal for measuring the flow of drinking, waste, demineralised and purified water networks as well as any other fluid transparent to ultrasound. Ultraflux, with this device, confirms its expertise in ultrasonic wave transit time difference. The device is available in 5 versions: Standard, Dual pipe, Dual chord, Calorimeter, Dual calorimeter.